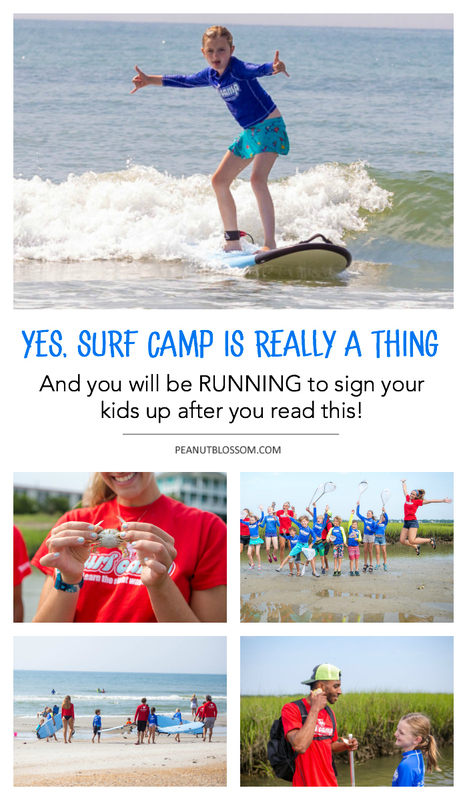 Send your kids to surf camp, the best summer camp for kids! 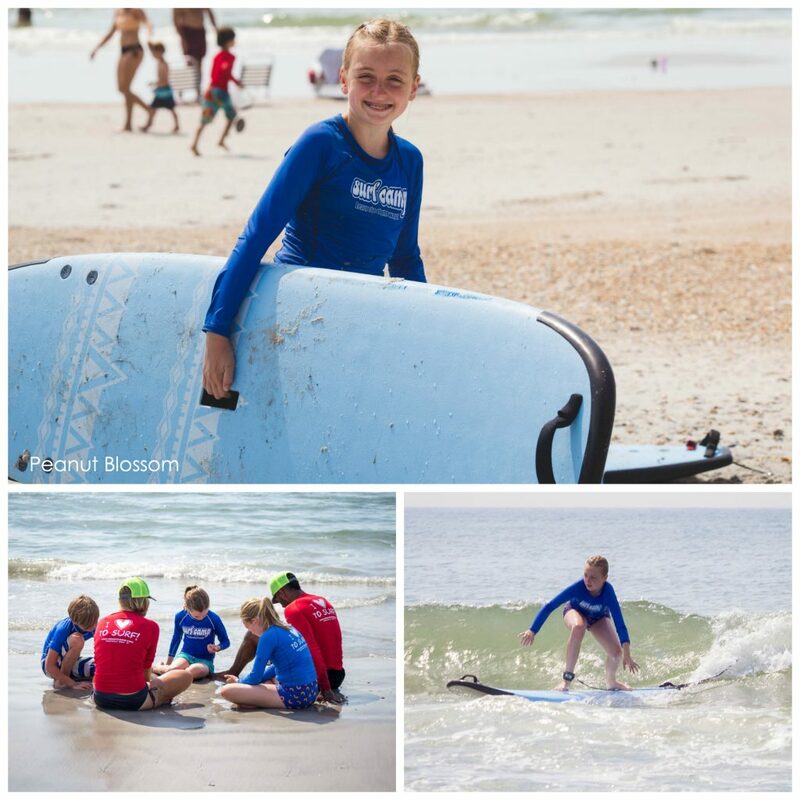 This review of the WB Surf Camp in Wrightsville Beach, NC will help you arrange an amazing experience for your family. Don’t miss these other amazing day trips and fun things to do in Charlotte. Thanks to a few disappointing day camp experiences over the past few years, I had given up on the idea of sending my girls to a summer camp for kids. I quit researching our options because everything I found in town was just simply too expensive for too little experience. I thought I could provide more summer fun with that budget just by doing our own thing. SURF CAMP?! Even after 6 years living in the south, this midwestern girl didn’t know there was such a thing! I was floored. The Peanut was old enough for either option but I knew she wasn’t ready for the full overnight summer camp experience just yet. Little Pea at age 8 could only choose the day camp. Since Wrightsville Beach is a 3+ drive from our home, the day camp was only an option if we stayed a whole week at the beach. Then I paused in shock and awe . . . Wait a minute, Tim and I could stay at the beach for a whole week and our kids would be occupied with the summer camp of our dreams from 8a – 4p?? We would have five whole days to walk the shore, go swimming, read books, and actually relax during summer vacation while still enjoying the kids in the evenings?? Somebody pinch me, this had to be a dream. Surely this was too fantastic to be real. But WB Surf Camp is not a joke. We decided to sign both girls up for the same surf camp session so they would have each other for company. I planned way ahead and arranged for grandparents to help cover the cost of the day camp fees for the kids as their birthday presents. I scouted out a hotel with a kitchenette in our room and planned to cook all our meals to help save money. Surf Camp was HAPPENING. Unfortunately for Tim, he changed jobs before we left for surf camp and couldn’t manage to take a whole week away from the office so quickly into his new position. But, the good news for me is that it turned into a week of heavenly mom time I still can’t believe actually happened! Want to see what I did with all my time? Check out the 5 reasons you need a mom-cation in Wilmington here! 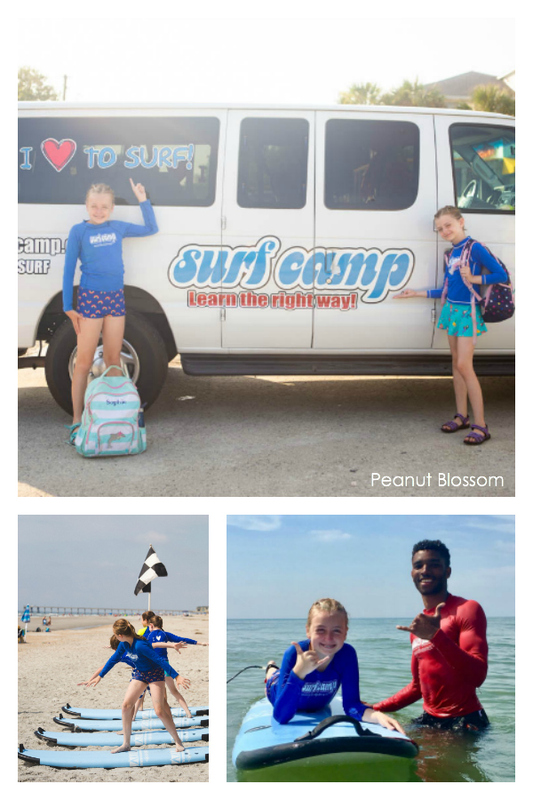 WB Surf Camp offers several sessions of educational summer camp for kids that mixes time in the ocean learning to surf and boogie board with day trip adventures to local aquariums, botanic gardens, and Wilmington hot spots. 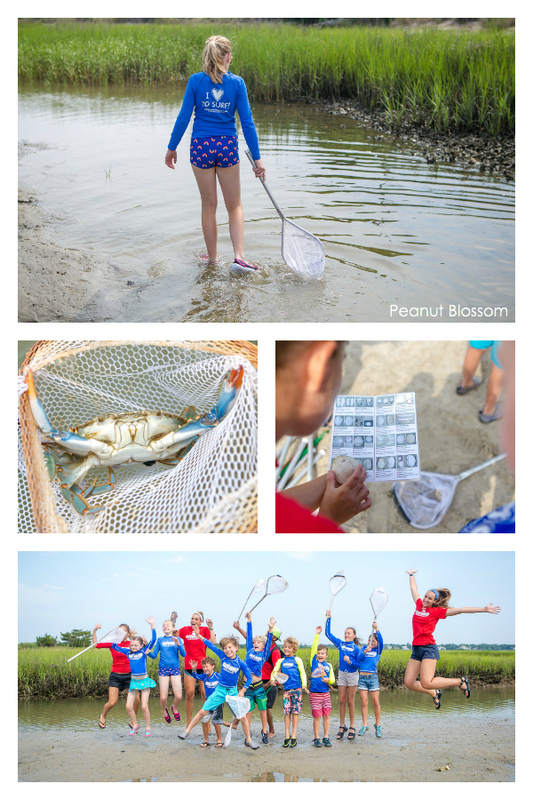 The kids spend a portion of every day in the water and the rest of the time learning everything your child ever wants to know about ocean safety and ocean creatures. Where is the best surf camp for beginners? While there are surf camps on both US coasts, the best surf camp for beginners is in Wrightsville Beach where the waves are big enough to surf but gentle enough for kids to handle. WB Surf Camp brings their campers to one of the handful of public access beaches on Wrightsville Beach. While I felt perfectly safe giving my kids the freedom to enjoy camp without parental supervision, I loved being able to pop in for just one of the surfing sessions to take a few pictures of the girls on the waves. What will my child learn at surf camp? Is surf camp safe? How physically demanding is surf camp? The kid-to-counselor ratio when out in the water 2-to-1. The kids are told not to go any deeper than the logo on their rashguard. My girls have had swim lessons for years but have never been on swim team. Despite yearly beach experiences, they were hardly “experts” with currents and high power waves. I was a little intimidated by the idea of handing my kids over to strangers to take in the ocean without my oversight. The team invited me to come and watch one of the surfing sessions so I could take some photos. During my visit, I was incredibly impressed with the oversight of the counselors to the kids when they were at the beach. They immediately set up a shade tent with a water cooler and took the kids out into the ocean for surf lessons in small groups with two to three counselors in the water with four to five kids at a time. Two more counselors watched the remaining kids back on the sand. After a designated time the teams would switch. By the end of the week, my girls were a little bruised and banged up with some minor scrapes and scratches. I loved that they were safe but not overly coddled. Kids who long for more physically demanding adventures will discover that surf camp is the perfect safe place to push themselves. The days are long but the staff vigilantly reminded the campers to drink water, reapply sunblock, and rest in the shade as necessary. My girls came home every evening thoroughly exhausted and glowing with happiness. Little Pea frequently fell asleep in the car on the way back to our hotel. Who should register for surf camp? The girls and I joked that our week at surf camp was very similar to a week at home during the school year: We would set the alarm to be awake by 7:15 a.m., have breakfast and pack lunches, get dressed and sunblocked, and out the door by 8:10 to get to the surf camp drop-off point by 8:30 a.m. I had the day free until 3:35 p.m. when I would head back over to pick them up for the evening. We’d head back to the hotel for showers, dinner, and early bedtimes because they were so worn out from their busy day. You could rent a house on the beach through VRBO: this is a great affordable option because with a full kitchen you could cook all week to save money. It also lets you get a larger space for sleeping and privacy. The staff at WB Surf Camp also recommended the Blockade Runner Beach Resort which was out of our budget but looked amazing. The drop off point for surf camp is at the Surfberry Frozen Yogurt shop on Wrightsville Beach so you could easily stay at any hotel within your budget in Wilmington. 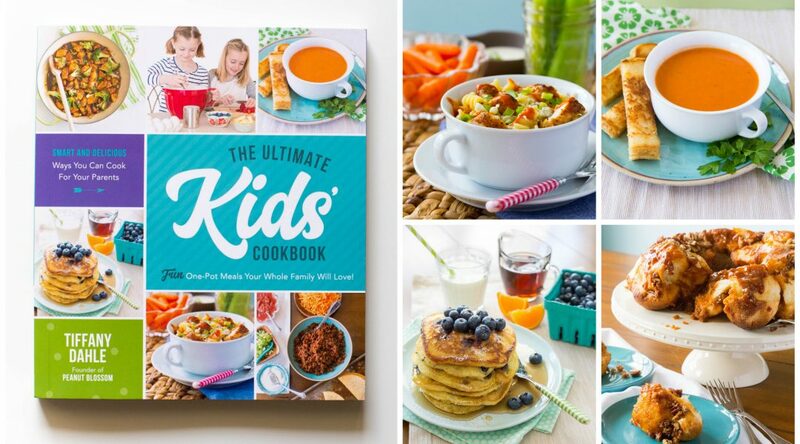 Looking for more ways to connect with your kids and make lasting family memories? 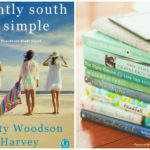 Don’t miss my weekly email newsletter where I share simple seasonal ideas for family fun all year long.